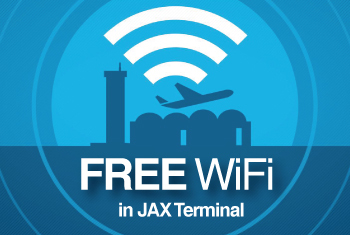 Jacksonville International Airport(JAX) is committed to a policy of nondiscrimination in providing access to public services and employment opportunities at the airport. JAX operates its programs, services,and activities in compliance with federal non discrimination laws including Title VI of the Civil Rights Act of 1964 (Title VI), the Civil Rights Restoration Act of 1987, and related statutes and regulations. Title VI prohibits discrimination in federally assisted programs and requires that no person in the United States of America shall, on the grounds of race, color,national origin or income (including limited English proficiency), be excluded from participation in, be denied the benefits of, or be otherwise subjected to discrimination under any program or activity receiving federal assistance. Further, JAX will make every effort to ensure non discrimination in all of its programs and activities, whether they are federally funded or not, and that services and benefits are fairly distributed to all people, regardless of race, color, national origin, or income. In addition, JAX will facilitate meaningful participation in the transportation planning process in a nondiscriminatory manner. Jacksonville International Airport (“JAX”) has developed a Language Assistance Plan to help identify reasonable steps for providing language assistance to persons with Limited English Proficiency (“LEP”) who wish to access services provided at JAX. As defined in Executive Order 13166, LEP persons are those who do not speak English as their primary language and have limited ability to read, speak, write or understand English. A person who does not speak English as their primary language and who has a limited ability to read, write, speak or understand English may be a Limited English Proficient person and may be entitled to language assistance with respect at JAX. 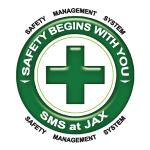 FREE language assistance services are offered in the JAX terminal at the Ambassador Information Booth in the Center Courtyard (Pre-Security) and at the Visit Jacksonville Information Booth (Baggage Claim). Language assistance is also accessible by picking up and using any of the White Courtesy Phones located throughout the airport terminal. terminal or at the Visit Jacksonville Information Booth on the first floor of the JAX terminal.